Personally, our customer advisors are there for you Monday through Friday from 9:00 am to 5:00 pm. You have received a fare rebate? easy to use, immediately available and no cash required! 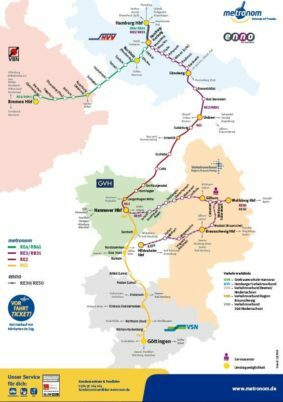 The staff in our customer centre have an overview of all our services and are happy to help you to find the right fare zone and the appropriate ticket for your journey through Northern Germany. Quick, simple and located at every train station – the yellow metronom automated ticket machines are the easiest way to buy tickets. You will find the ticket validation machine directly next to the ticket machines within the GVH, VSN and VBN networks. 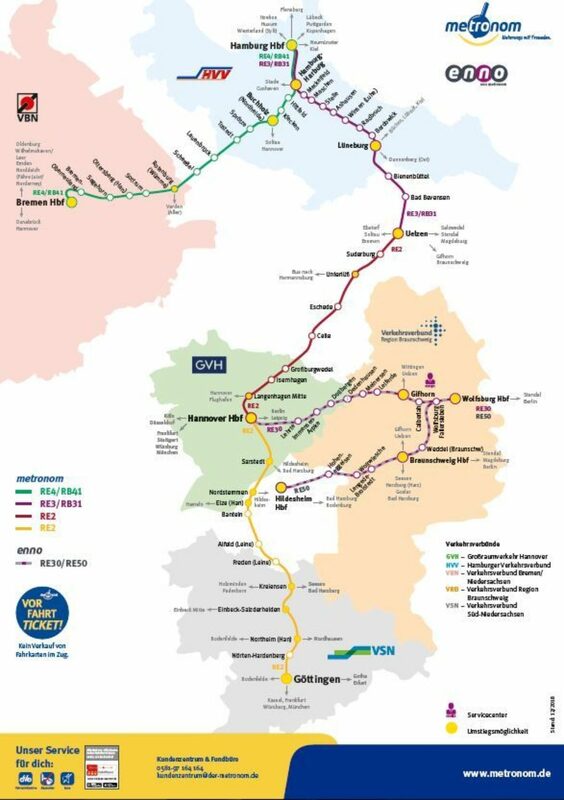 You can also buy Niedersachsen-Tickets (Lower Saxony tickets) and bicycle tickets at our ‘meeting points’ along the metronom routes. Meeting points are kiosks, travel offices and tourist information centres which belong to our circle of friends. You can see where your nearest meeting point is here.